In Philadelphia, the nonprofit Common Market now houses a 73,000-square-foot warehouse and office headquarters in North Philadelphia. It is also expanding nationally, having opened a satellite operation in Atlanta nearly two years ago. A Houston branch is expected to launch this spring. Chicago and South Florida are “next on the agenda,” reports Lisa Held for Civil Eats. “We have aspirations for expanding to most of the major metropolitan areas in the United States,” says Haile Johnston, chief development officer. Johnston cofounded Common Market with Tatiana Garcia-Granados and Robert Pierson. As Held points out, while the phrase “food hub” is fairly new, local food distributors have been around for decades. Notable examples include Veritable Vegetable in San Francisco and Organically Grown Company in Oregon. 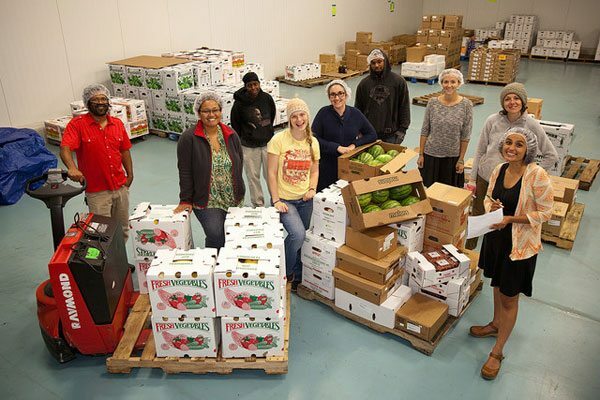 Still, the 2015 National Food Hub Survey conducted by the National Good Food Network and Michigan State University’s Center for Regional Food Systems found that 82 percent of the hubs surveyed had started their operations within the past 10 years. The survey also found that the sector, though having thin margins, was reasonably healthy financially, with three-quarters of the hubs surveyed at break even or better. Held adds that a USDA report released in November 2017 that examined food hub shutdowns nonetheless confirmed that the sector itself was strong, with roughly 360 active food hubs nationally, up from fewer than 50 in 2000. The report also noted a high five-year survival rate of 88 percent since 2005. Partnerships with anchor buyers have been key to Common Market’s success. “We recognized from the beginning that if this model was going to work, it needed to be at an appropriate degree of scale, and that scale was going to come through partnerships with places that make larger orders of food,” Johnston says. At first, this meant working with small institutions. As Common Market grew, relationships “with national companies like Aramark and Sodexo that manage the food service at large hospitals and universities” became critical. Capital has also been important. Held notes that Common Market used loans from RSF Social Finance, an impact investing firm, to buy their warehouses and truck fleet. RSF also provides a revolving line of credit, which enables Common Market to pay farmers within two weeks.